FrederickHohman - Official 2019 Website. Concert Organist, Composer, Audio-Videoproducer/ engineer. Press items, concert details, news. Since his St. Louis concert debut in 1973, where a critic with the St. Louis Post-Dispatch heralded his pedal technique as “the best you’ll ever hear,” Frederick Hohman has excelled in many facets of the organ trade: as a concert organist, as a composer, as a creator of organ transcriptions, as a classical music audio-video media producer, and most recently as an instrument designer and an on-line music instructor. Frederick earned the Performer's Certificate, Mus.B., M.M. and D.M.A. degrees while in the organ class of David Craighead at the University of Rochester's Eastman School of Music. In 1984, he won First Prize in two prestigious organ competitions, each named in honor of a legendary American organ professor: Clarence Mader and Arthur Poister. Since 1984, Frederick's concert travels have taken him throughout the USA, and to the Caribbean, Australia, the United Kingdom and Finland, where he has appeared in concert and has often recorded in venues ranging from the largest (Cathedral of St. John the Divine, New York City) to the most intimate. Frederick has been featured in several dedicatory organ concerts and has appeared on occasion with orchestras as an organ concerto soloist. 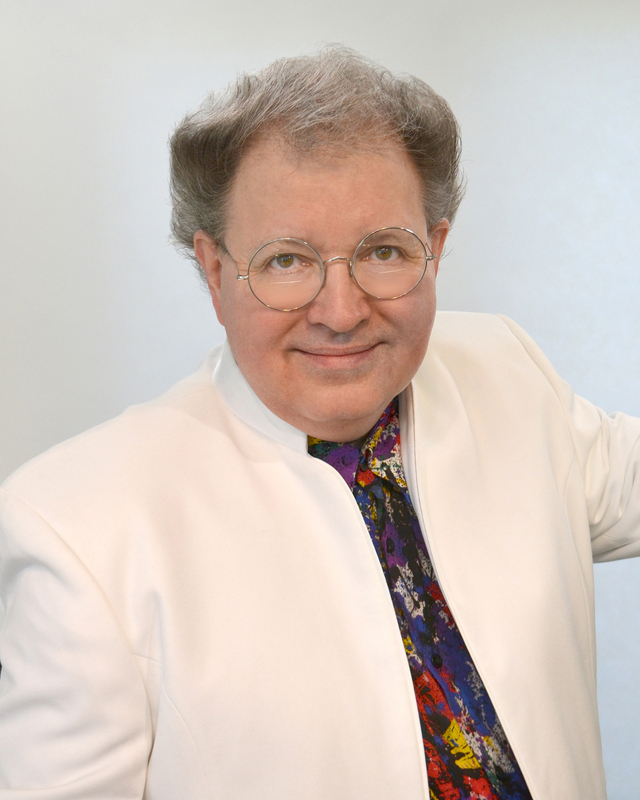 He has been featured in concert before regional and national conventions of the American Guild of Organists (AGO), The Organ Historical Society (OHS), and The American Institute of Organbuilders (AIO). In the 1980s, Frederick championed the revival of the Symphonic School of organ-playing at a time when it was out of fashion. By 1990, a critic with The Diapason magazine acclaimed Frederick as "one of the symphonic organ's strongest exponents.” Frederick’s 1984 Eastman School doctoral essay, "The Art of the Symphonic Organist,” which examined the performance style of legendary British-American organ virtuoso Edwin H. Lemare (1865-1934), and Frederick's 1985 CD "Lemare Affair" fueled a revival in symphonic organ literature and performance practice. A series of newly-published organ transcriptions and several "Lemare Affair" sequel albums on the Pro Organo label soon followed. Frederick studied with Eastman School Composition Chair Samuel Adler during the 1970s, however, Frederick’s compositions dating back to 1973 are only recently coming into print under the Zarex Scores insignia. His first award in composition occurred in 1984. Frederick composes under his own name as well as under the nom de plume "Carlos Xavier Santiago.” His most recent composition award was decided in November, 2017, and the award and attached commission, for a new 12-minute solo organ work to be premiered in March, 2019, is to be formally announced in late March 2018. In 2008, Frederick found an outlet in education by partnering with the American Guild of Organists (AGO). Fulfilling a commission from the AGO in 2016, Frederick appears as the instructor in a series of 30 on-line teaching videos, designed to help pianists to transition to the organ. This series, entitled “Lessons for the New Organist” and completed in April, 2017, may be viewed at AGO’s website. 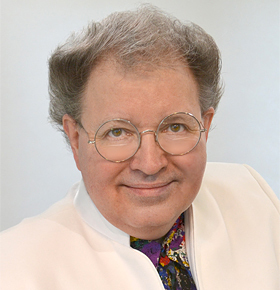 Frederick has imparted guidance and encouragement to young organists since 1997 in his written comments returned as an adjudicator in 20 national and international organ competitions. Competitions drawing on his expertise are the Arthur Poister competition (3 years), Albert Schweitzer Organ Competition and Festival / USA (14 years), the Fort Wayne National Organ-Playing Competition (2 years) and the Herbert Davis State Organ Prize, in Victoria, Australia. Best for publications with limited space. Concert organist Frederick Hohman is also recognized as a composer of organ and choral music, a creator of organ transcriptions, a modern on-line educator, a musical instrument designer, and a classical music audio-video producer. Frederick earned the Performer's Certificate, Mus.B., M.M. and D.M.A. degrees while in the organ class of David Craighead at the University of Rochester's Eastman School of Music. In 1984, he won First Prize in both the prestigious Clarence Mader and Arthur Poister competitions. This led to organ concert tours taking him throughout the USA, and to the Caribbean, Australia, the UK and Finland, to collegiate, concert and religious venues, including appearances before regional and national conventions of the American Guild of Organists (AGO), The Organ Historical Society, and The American Institute of Organbuilders. Acclaimed by a critic with The Diapason magazine as "one of the symphonic organ's strongest exponents," during the 1980s, Frederick championed a revival of the Symphonic School of organ-playing. His 1984 doctoral essay, "The Art of the Symphonic Organist," and his 1985 CD "Lemare Affair" ignited a revival in symphonic organ literature and performance practices of the early 20th century, which led to his first organ transcription publications, as well as to several additional CD releases. Frederick Hohman's organ transcriptions and original organ music are published by Wayne Leupold Editions - www.wayneleupold.com - and by Zarex Scores. He occasionally composes under the nom de plume "Carlos Xavier Santiago." Frederick's organ-with-orchestra works were first premiered before the 2008 Twin Cities National Convention of the American Guild of Organists. In 2018, he is preparing both a pops-style organ concerto and a classical-style organ concerto for their premieres. From 2008 to 2015, Frederick served The American Guild of Organists (AGO) on its national committees focused upon education. In 2016, AGO's Committee on Continuing Professional Education commissioned Frederick to appear as video instructor in a series of 30 AGO-produced videos, in a series entitled "Lessons for the New Organist," which are free for all to view at AGO's website. Also in an educational role, since 1997, Frederick has provided written guidance and encouragement to aspiring organists as an adjudicator in 20 national and international organ competitions. © Copyright 2016-2017 Zarex Corporation. All rights reserved.